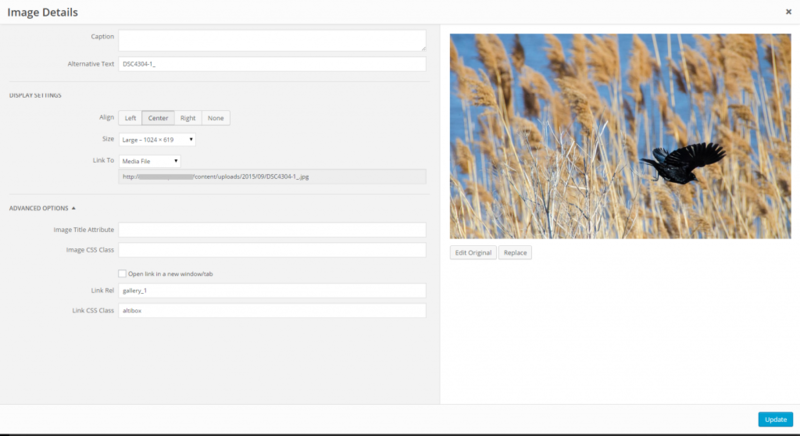 Altibox is a clean and lightweight Image Viewer for WordPress manageable through CSS selectors. See your images without opening a new window or new tab for your images. Your visitors stay on your page and can even navigate in image galleries. 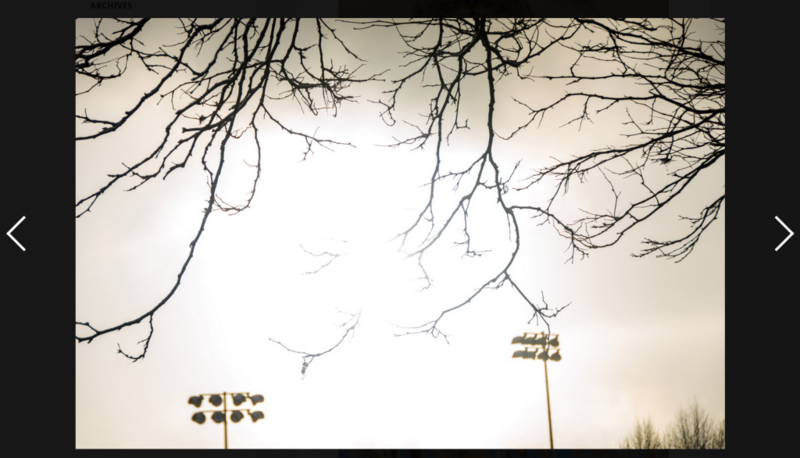 To add Altibox to any of your images, you have to add a Css class to the images or a Css class to the link that contains the image. 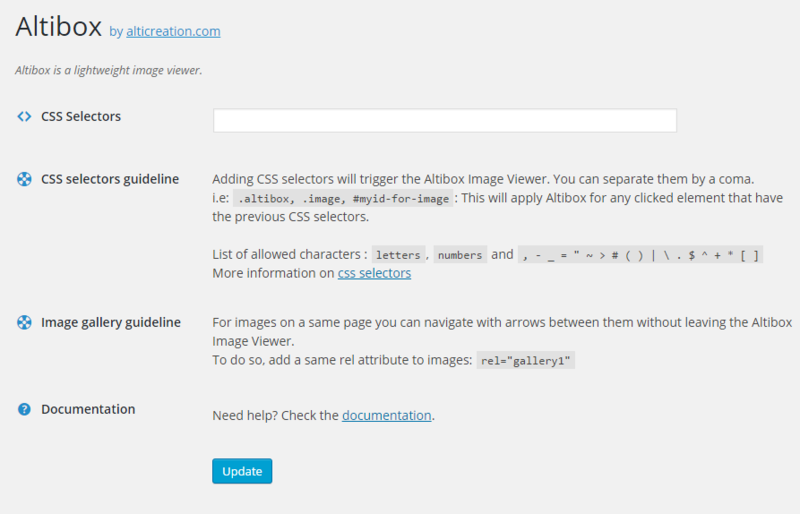 For example add the class : «.altibox» to the image or link, then go to the setting page of Altibox and add «.altibox» to the Css selectors field. To activate navigation with arrows between images in a same page, you have to add a same «rel» attribute to your link or images and then they become a gallery. If you have any question, problem, please leave a comment in the above section.